Arrive at Ninoy Aquino International Airport of Manila and take a domestic flight to Dumaguete. Arrive at Dumaguete and meet our representative and proceed to the hotel and check-in. After lunch, proceed for a half day city-tour which includes a visit to Silliman University Campus. You get to see various artefact and culture of local tribes. Next is the Marine Laboratory, get to see few marine underwater specimens. It also includes breeding program for the Philippine crocodile. Return back to the hotel for an overnight stay at Dumaguete city. After breakfast drive to Capinahan Pier in Bais City to board an outrigger boat for a short sailing trip to Tanon Strait. Halt by at Talubong Mangrove Island which features a protected mangrove forest with natural habitat for wild birds and crustaceans. The next visit is to the Campuyo White Sandbar where you rest on the shallow water and the dolphins swim next to your boat with their playful moves. You can also swim in the water or unwind yourself on the sand. We now sail back to Bais for lunch in a restaurant. After a complete lunch we visit the Central Azucarera de Bais, a sugar mill company. Return back to the hotel for an overnight stay at Dumaguete city. After a healthy breakfast proceed to the village of Malatapay. It is a place where farmers and fishermen come together to sell their fresh produce. You get to enjoy delicious freshly cooked food here (This option is only available on Wednesday). Then proceed to the beach at the end of the market. Board the boat for a 40 minute ride to Apo Island. Have lunch at the Apo Island and enjoy some free and easy time enjoying this beautiful island before heading back to Dumaguete city. Return back to the city and spend the rest of the evening at leisure. Enjoy an overnight stay at the hotel in Dumaguete city. After breakfast check-out from the hotel. By afternoon get transferred to the1330h ferry bound for the mystical island of Siquijor. Reach Siquijor and proceed to the hotel for check-in. Relax and enjoy for the rest of the day. Spend a relaxed overnight at the hotel in Siquijor Island. Enjoy the breakfast. Get ready to explore the hills and a limestone island today. Start with a visit to Lazi. Review a huge structure made of limestone blocks and its flooring chop out of molave wood. Also pay a visit to St Isidore Parish Church across Lazi. Then proceed to the Cambugahay Falls. Sense the fresh air rustling and the tropical weather, a perfect place to rejoice in. Then move to Salagdoong Beach for a delicious lunch. After lunch, visit Siquijor town for a short tour featuring the must visit places like the Church of Saint Francis of Assisi and Capilay Spring Park. Before heading back to the hotel, go trekking to Mount Bandilaan. Return back to hotel for an overnight stay in Siquijor Island. Have a relaxed breakfast at the hotel. Spend the day at leisure indulging in activities of your choice. You can visit the beaches, the caves, the waterfalls, the historic monuments, national parks, man-made attractions or just laze around in your hotel. Spend a relaxing overnight stay at the hotel in Siquijor Island. After breakfast check-out from the hotel and take a ferry back to Dumaguete. After arriving at Dumaguete, proceed to the domestic airport for your return flight to Manila. Rejoice the beautiful moments spent in Philippines as you head back home from Manila. Note - Above prices are valid till December 31, 2014. *Prices are quoted per person on a twin-sharing basis in a comfort hotel. Rates are not valid for peak period or major exhibitions or event dates. Additional options are available upon request. The package cost does not include any kind of entrance fee, camera charges and meals other than mentioned in the itinerary. Prices are correct at the time of publication and are subject to change without any prior notice depending on travel dates and availability. Any change in the ROE would be charged at the time of final payment. Above prices does not include 3.09% Government Service Tax. Any increase in airfare, air taxes, YQ tax and visa charges will be charged extra. All transfers and sightseeing will be on sharing basis. Terms apply. An island that enunciates history and culture and lures you with its turquoise blue waters, Philippines is a peaceful escape from the travails of a bustling city. 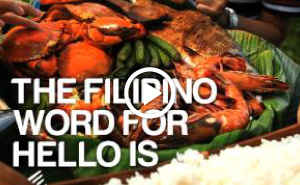 You might really be taken aback with the amount of things to do in Philippines. An absolutely must-do is a dive in the Tubbataha Reef for a surreal underwater experience. Other activities that you can do are kayaking, snorkelling, an island- village excursion; meet the potentially endangered species mawmag (tarsier) and much more! Best time to visit Philippines is from December to May. The climate is best to enjoy the tropical weather. Top attractions in Philippines are Boracay islands, San Agustin Church, Banaue Rice Terraces, Chocolate Hills, Talubong Mangrove Island, Malatapa, Church of Saint Francis of Assisi, Salagdoong Beach and much more. Philippines also houses eight UNESCO World Heritage Sites - Tubbataha Reefs Natural Park, Rice Terraces of the Philippine Cordilleras, Puerto Princesa Subterranean River National Park, Historic Town of Vigan, Mount Hamiguitan Range Wildlife Sanctuary, Santa Maria Church, San Agustin Church, Paoay Church and Miagao Church. Choose your Philippines holidays and have fun in the Philippines!